I am a Technical Support Coordinator here at Output. I like to think of my job as a game. Composers and musicians from all around the world send in their questions or problems, and it’s up to us to solve them. We’re always at the frontlines, dealing with issues as they arise and making sure each customer has a flawless experience. After attempting small talk with my Uber driver, I enter Output ready to conquer the day’s challenges. But first I must say hello to the dogs. Once Woody and I are all caught up, it’s time to get started. I open my laptop, and the communication begins. We usually have the most tickets on Mondays, but this doesn’t slow us down. Helping others to use our products really forces us to understand the nuances of each one. And that we do! We process the tickets like wood to a woodchipper. Once a week we meet and discuss methods to improve the experience for new customers. We are always trying to get better, and having such a small office community means we are constantly talking and sharing new ideas. Whenever there is downtime, we have something to do at the office. Whether it’s writing music, jamming on the piano, playing ping-pong, or learning how to make new sounds on the modular synths, there’s never a wasted moment. 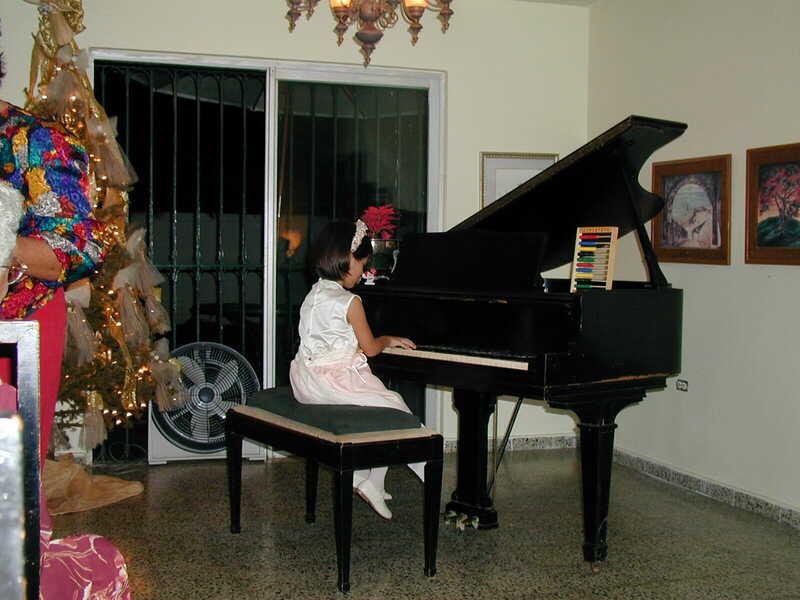 I began playing piano at the age of five, when my mother put me in both music and pottery classes. While I did make some gorgeous swamp-green “cups,” it was the piano that really stuck with me. After years of playing Haydn and Chopin, I saw Spirited Away and was immediately awe-struck by Joe Hisaishi’s score. After that, I knew I wanted to write music for film. It was not until I attended Berklee College of Music that I was introduced to music technology. Seeing this as a hurdle that needed to be surmounted, I ended up majoring in Film Scoring with a minor in Music Tech from the Berklee campus in Valencia, Spain. After graduating in 2016, I moved to Los Angeles, where I have lived for the past two years while working with several film composers around the area. I’ve now been working at Output for the past five months, and I’m so grateful that this job encourages me to keep pursuing music outside of work. I am fortunate enough to genuinely enjoy my job at Output, and whatever gigs I get outside of here only feed into my passion for film and film music. The hours I put into these projects melt away like butter into a roux. Still, I like to think that I am continually learning how to efficiently work and pace myself. With every year I (hopefully) get better. Being in LA has given me the chance to collaborate and form friendships with directors, student animators and producers. Very recently, I just became part of an Educational Youtube Series called ‘Extra Credits’ and every month I get to create a fresh period-appropriate piece of music for them. Here’s a cute illustration they made of me. 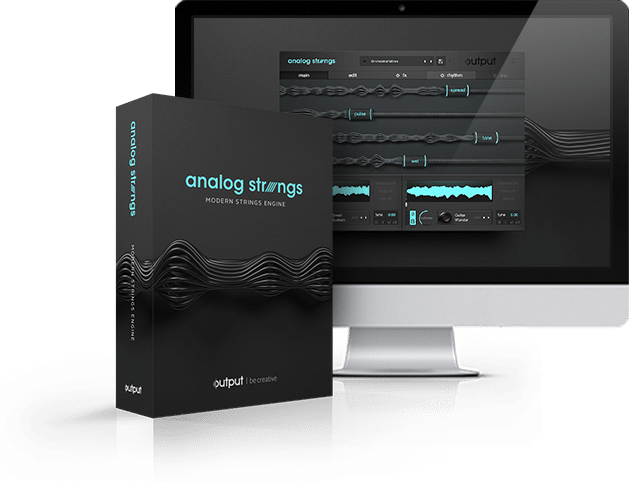 The first instrument from Output I ever used was Analog Strings, which to this day remains one of my favorite VSTs. Throughout my college experience I was exposed to numerous string libraries, yet Analog Strings immediately managed to stand out. The plug-in’s ability to combine synth pads with modulars and plucked strings makes for a truly unique soundscape, especially when combined with its powerful macros. The GUI, as with all Output products, is a piece of art.